The main thrust of these programs is to help youth to become responsible, caring citizens that acquire skills for participating in the democratic process. Club members also develop leadership skills and provide opportunities for planning, decision-making, contributing to Club and community, and celebrating our national heritage. The Keystone Club is a program for high school students (ages 14 - 18) that focuses on Education, Leadership, Community, Service to the Club, and Recreation. Its mission is to develop characteristics in youth that will distinguish them as successful, contributing adults. The club volunteers throughout the community helping others. Activities include volunteering at area soup kitchens, attending CT Youth Forum events, college and career exploration, and much, much more. Youth attending this program will get community service hours to help meet the requirements of graduation. 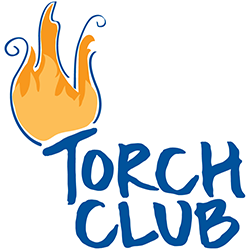 The Torch Club is similar to the Keystone Club but is for middle school students (ages 11-13). Torch Club members learn to elect officers and work together to plan and implement activities in four areas: service to Club and community, education, health and fitness, and social recreation. Youth in the Torch Club can obtain credit for their community service hours.